A special challenge that our communication agency pursued with the professionalism and reliability that distinguish it. 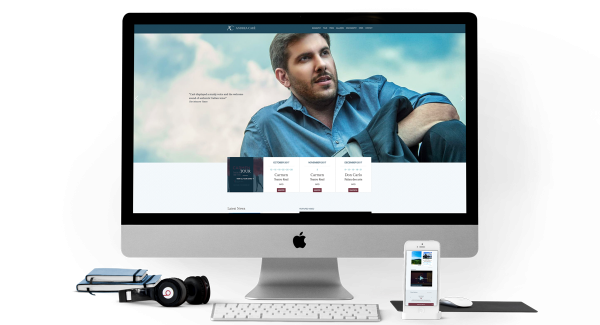 The goal was to create a design website that would do justice and highlight the talent of tenor Andrea Carè. The result is a site designed with responsive technology to meet the needs of a client who is always touring, with visual content and design that can enhance the beauty of the photography, while providing the user with the most comprehensive information about the artist. A clearly highlighted biography and discography, forthcoming commitments in the foreground, up-to-date press releases and a photo gallery divided into memories and scene photos, allow the visitor in short, to experience the artist’s career. What couldn’t be missed out? A mobile-friendly structure of course, for simple and enjoyable browsing even from smartphones and tablets.